Click here to view a photo gallery of GCS student Darragh McDonald win GOLD at the 2012 Paralympics in London. 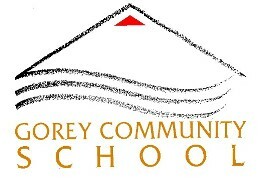 Sport is given prominence at Gorey Community School, with all students, regardless of ability are encouraged to participate. Physical Education is a compulsory subject at Junior Cycle and offered as a choice at Senior Cycle. Outside of the formal curriculum, sport is also encouraged. The school has first-class facilities with a large gymnasium, tennis courts, basketball courts and a number of playing fields. The school participates in local and national competitions and is proud of the sporting achievements to date and of our former students who have gone on to excel on a higher stage. The school also has annual sports day for younger students in summer term. These have proven to be hugely enjoyable events with fun events for students of different abilities. Sporting achievement is recognised by the school and awards are presented at the Annual Awards Ceremonies.